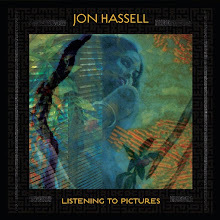 Undisputed jazz genius scored in Hollywood. Duke Ellington — arguably the most influential composer and bandleader of the big band era — contributed a Grammy Award-winning score for Anatomy of a Murder (’59). Although Ellington had occasionally composed music to low budget musicals and short films prior to WWII, this courtroom drama offered him a unique opportunity. The music — with its rich harmonic shadings and intuitive use of soloists — is unlike any other crime jazz soundtrack, and many of the individual tracks would not sound out of place on other Ellington records of that period. To his credit Ellington provided the requisite array of moods and variations on theme to complement the film’s characters and scenes, rather than merely recording variations of pre-existing music, to which he fittingly resorted for Paris Blues a year later. Miles Davis, another jazz iconoclast, also scored in the crime genre — this time in Europe. 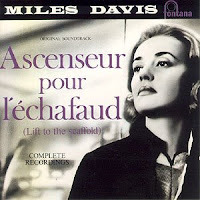 Considering the immense popularity of jazz in France during the period, it comes as no surprise that filmmaker Louis Malle wanted to have an American jazzman provide music for his thriller Ascenseur pour l’échafaud (Lift to the Scaffold, ’58). Unlike most film music, Davis’ score was improvised in the studio. According to the soundtrack CD booklet notes, it was an informal gig for the trumpet player and his mostly French sidemen; in fact, the film’s star Jeanne Moreau played bartender in the studio while Malle screened selected scenes to the musicians. 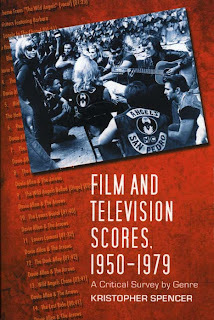 A rookie to the soundtrack game, Davis took little to no control over the selection of final takes for the film, letting Malle call the shots. Davis used a few tracks on his Jazz Track LP.